Holidays are meant for new and exciting adventures. Luckily, Australia is famous for the many outdoor adventures you can try. It’s all a matter of where you should start and where in the country you’re located. Whale sharks are majestic creatures typically found in tropical seas. When you visit the Ningaloo Reef in Western Australia, you can swim with them. Rent or bring your own dive gear, and glide alongside these gentle giants. Whale shark season is typically from April to August of every year, when they migrate to Australia during springtime in the west. As far as road trips are concerned, there’s nothing better than taking a drive through the Great Ocean Road. One of its most prominent attractions is the 12 Apostles. But what if you got to see the Apostles from a different perspective? Take a helicopter tour of the Great Ocean Road and see other attractions including London Bridge, Loch Ard Gorge, the Sentinel and the Arch. The Blue Mountains is another popular tourist destination. Situated in New South Wales, the Blue Mountains is home to the Three Sisters Aside from this famous rock formation, Blue Mountains National Park also offers countless other activities for everyone. One of this is rappelling down limestone cliffs and waterfalls, canyoning, rock climbing and mountain biking are other activities you can choose to do in the area. An activity you just have to try in Sydney is climbing the Sydney Harbour Bridge. Here, visitors can climb up the bridge and treated to a magnificent view of the city skyline. You don’t have to be a climbing expert to go through with it. Each climb starts off with safety reminders, handing out the safety gear, and a guided ascent. At the 134-metre high summit, you get a picture of you and your party. A great souvenir for a fun-filled day of adventure. If you’re tired of the beach and the sand, then visit one of the waterparks in the Gold Coast. The Gold Coast is home to many waterparks that you will surely love. Some of the water parks to consider are Sea World, Dreamworld, and Wet’n’Wild to name a few. It’s a great place to bring your kids and an excellent way to beat the heat especially during the summer months in Australia. 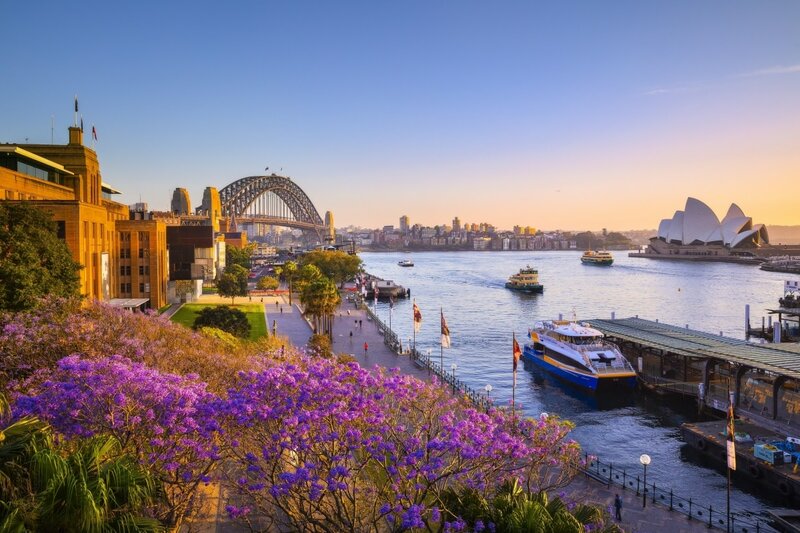 Embark on an adventure of a lifetime during your trip to Australia. In fact, you can construct your own bucket list of activities you want to do in the country during your stay. Spend this time with your loved ones and create new memories everyone can look back on fondly. So, what are you waiting for? Find a place to stay, choose an adventure, and don’t forget to book a car hire service in Australia for your stay. That way, you can come and see everything else the country has to offer without the use of public transport.